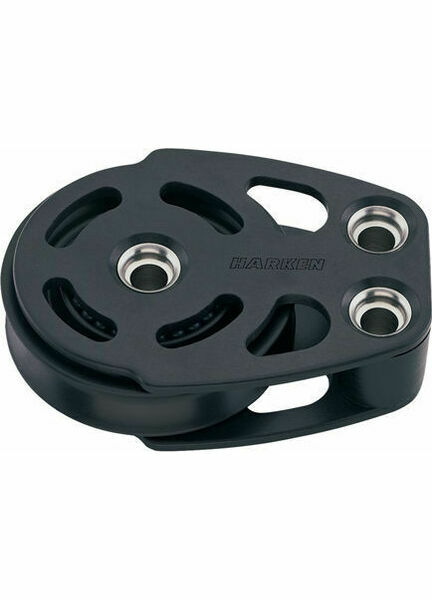 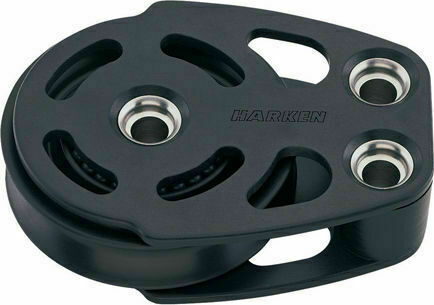 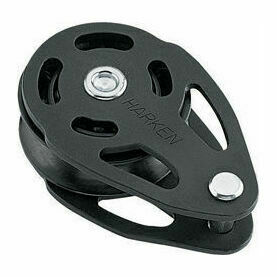 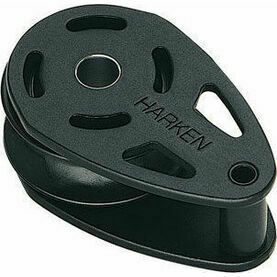 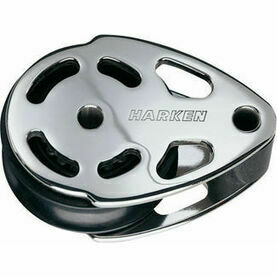 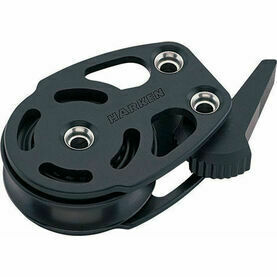 This 57 mm Aluminum ESP Footblock from Harken is a complimentary model to their existing boat blocks in terms of style and function, but has an ultimately simpler design and construction. 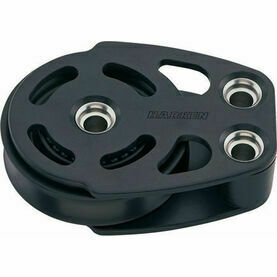 The use of sleeve bearings on the sheaves lets them manage high static loads on vessels, and renders them ideal for halyards or limited purchase systems on cruising boats. 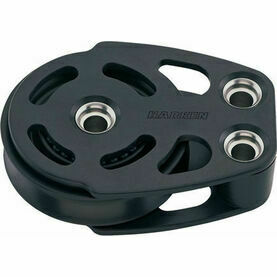 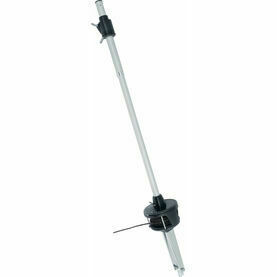 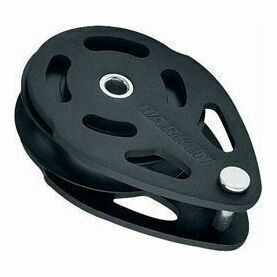 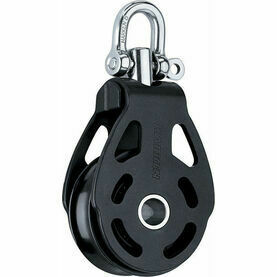 As an ESP Footblock, this device can also be used to redirect lines on the deck.